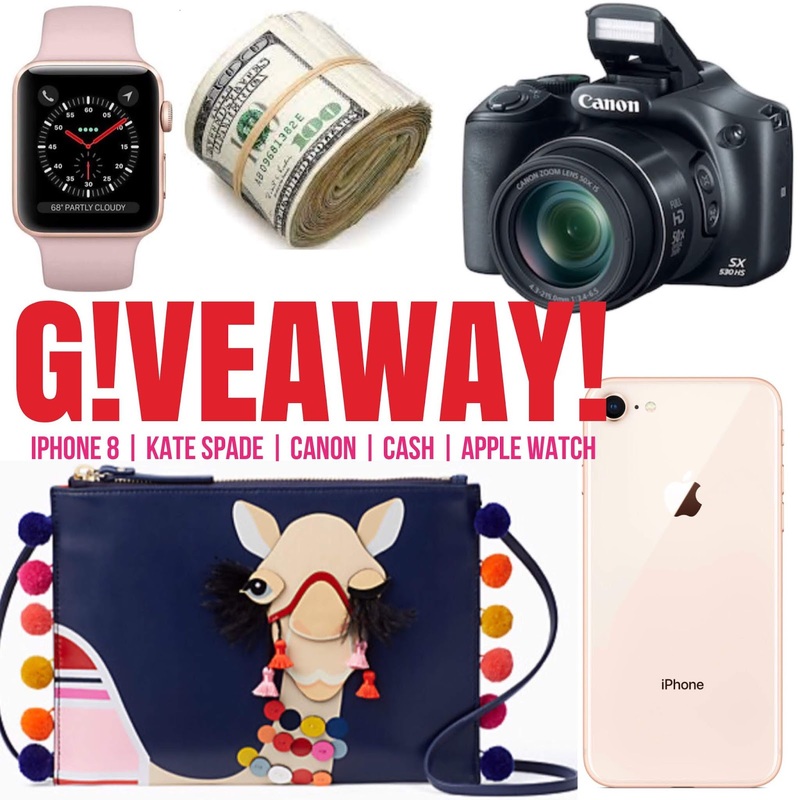 I have teamed up with 12 other amazing Instagram bloggers to give one person 1 of 3 amazing prizes!! 1. iPhone 8, open to any carrier, 64gb in rose gold. If you unsubscribe/mark the newsletters as spam you will be blacklisted from future giveaways ☺️ Please remember that when you mark a blog newsletter as spam it puts a bad mark on our delivery system, and this causes us major issues to where we can't send them out anymore to anyone. Large amounts of unsubscribes also give us a bad mark, so if you truly don’t want to enter anymore of the 2 giveaways we do a month, or receive the newsletter and will just unsubscribe ☺️ or mark it as spam please DO NOT ENTER! With that being said, the giveaway will run for 33 days, from 8/7/18 12pm est to 9/13/18 at 12am est. To enter just click on the above rafflecopter form and complete the many different tasks to double and triple your chances of winning many times over. Thanks so much for following and All the Best 🍀 everyone! !